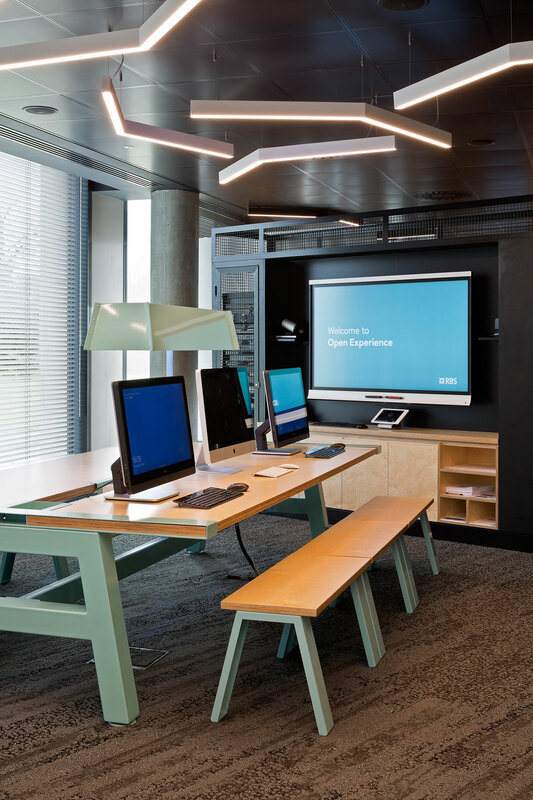 Graven created the Open Experience (OX) name, visual branding and implementation guidelines for RBS’s ‘Solution Centre’ innovation labs in Edinburgh. 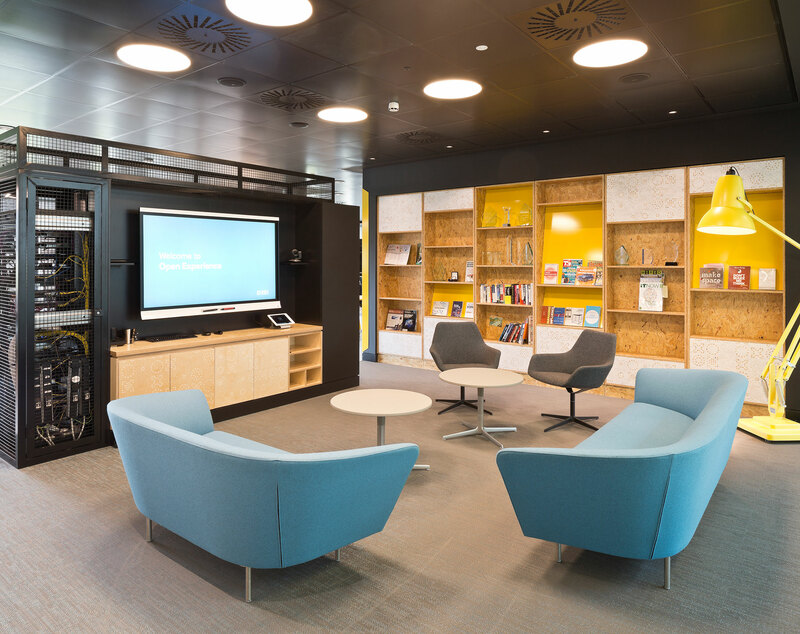 In these new spaces RBS ‘openly’ and collaboratively hothouses the next generation of banking. 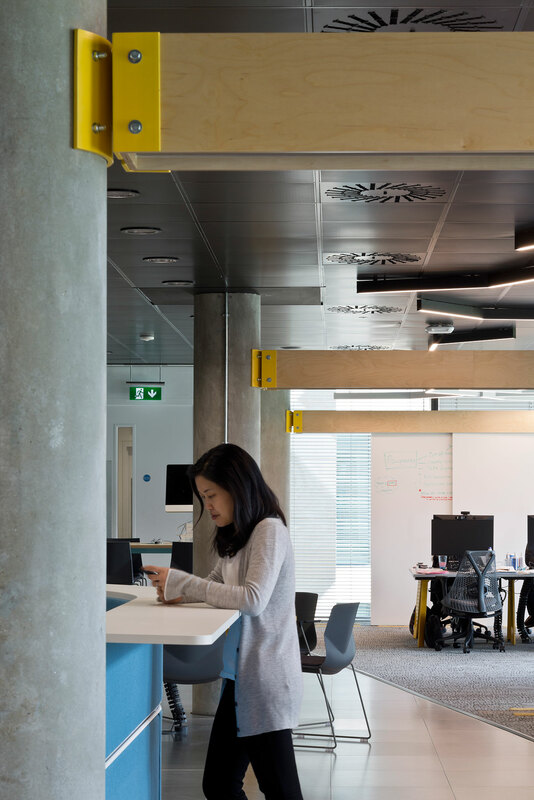 Open Experience (OX) is also a place where start-ups and external partners collaborate to develop smart ideas and host events, including hackathons where teams compete to create innovative technological solutions. 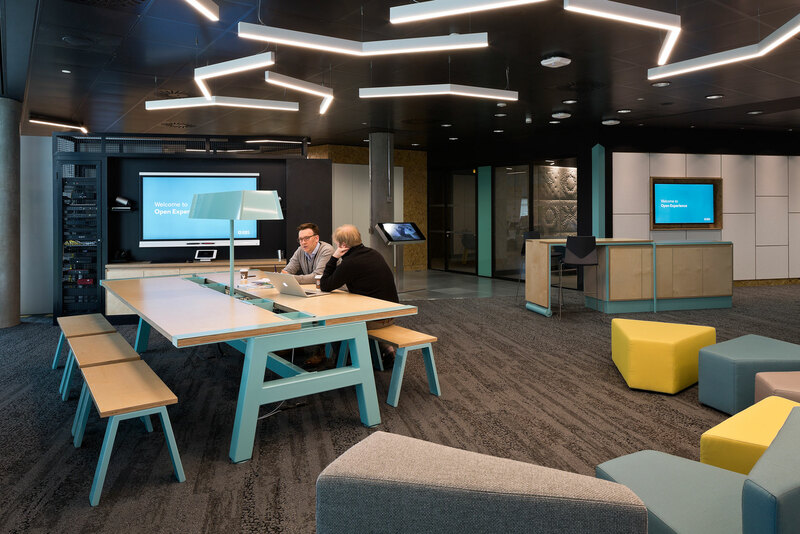 This project expanded to include the design of spaces to support collaborative SMART working, engagement and showcasing of new banking solutions. 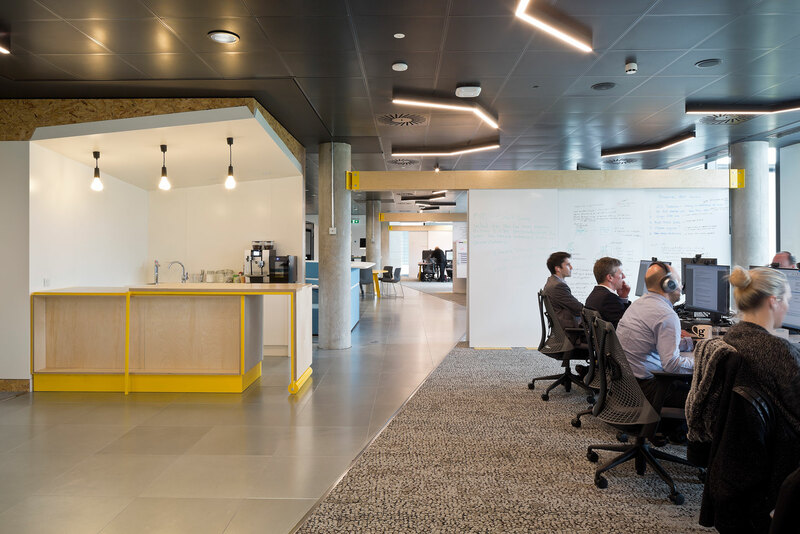 Graven used its bespoke BuildMyBrand process to embed RBS’s values across all media throughout two and three dimensions and to develop the key Open Experience (OX) elements to support SMART working. 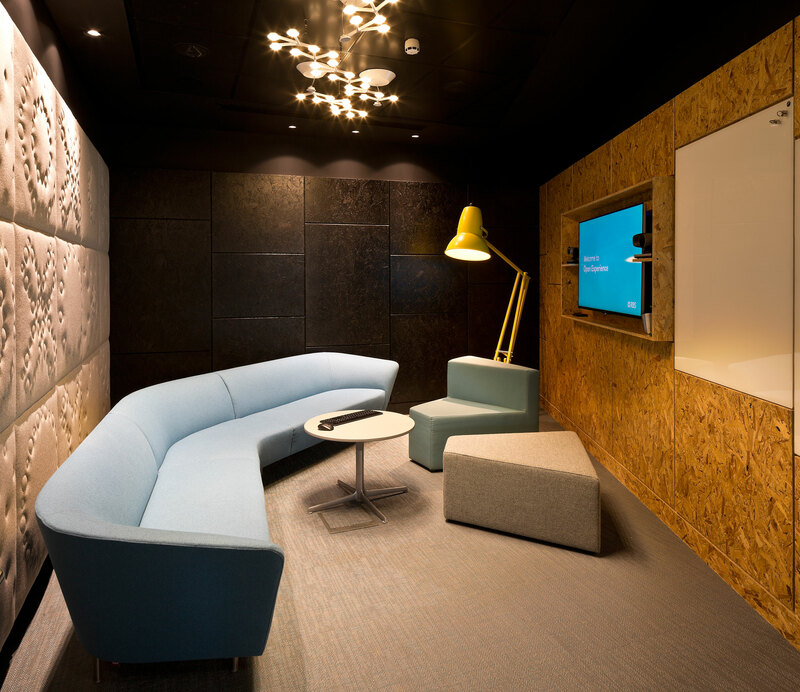 Graven’s role also included further environmental refinements and were responsible for the development of the Open Experience colour and material palette as well as the detailing of bespoke manufactured furniture and fittings. 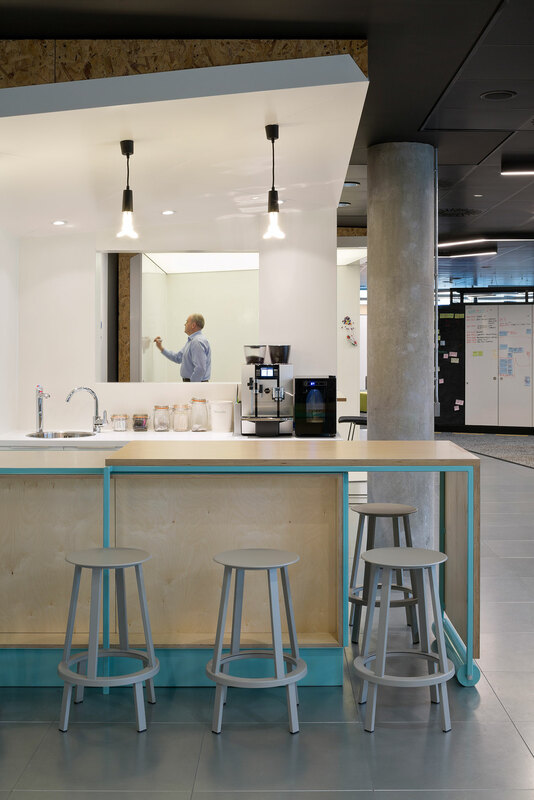 Graven worked successfully in collaboration with Michael Laird Architects who were the architects and responsible for the delivery of the OX space. 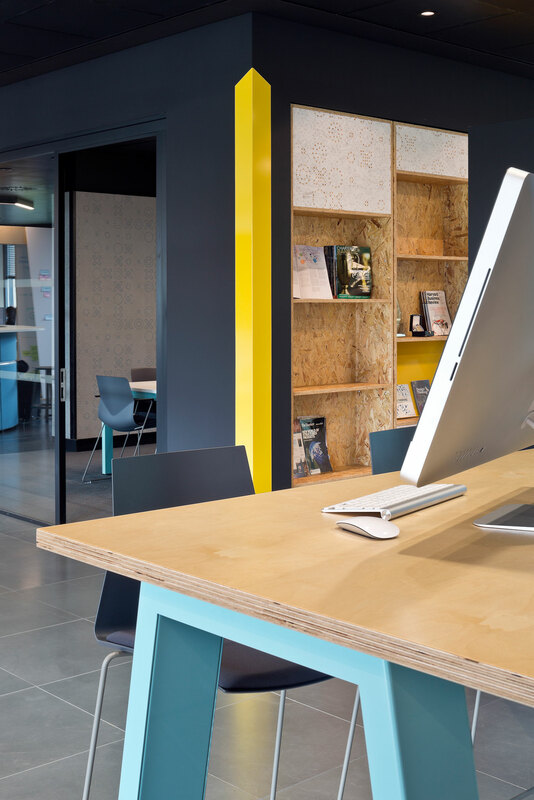 Graven also created an Open Experience (OX) audio brand and animations for use in devices and environments. 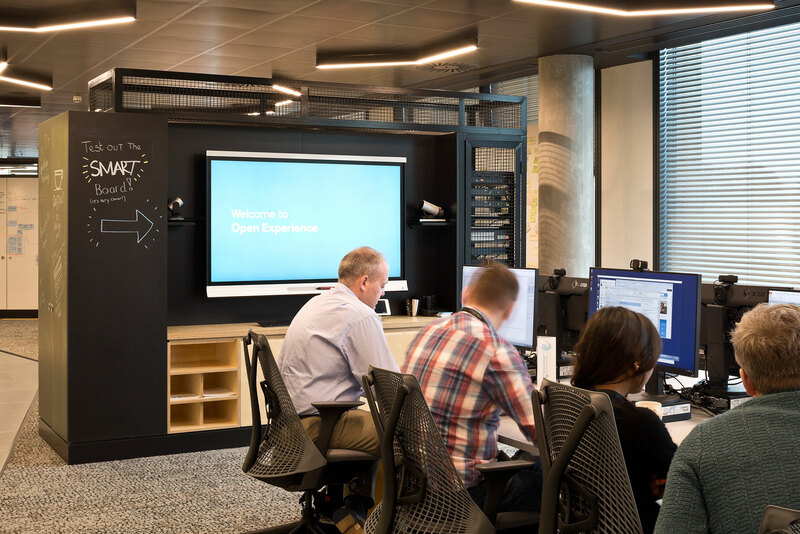 The Graven team are excited to confirm that they are currently working closely with the Royal Bank of Scotland to deliver an Open Experience (OX) in London later this year.